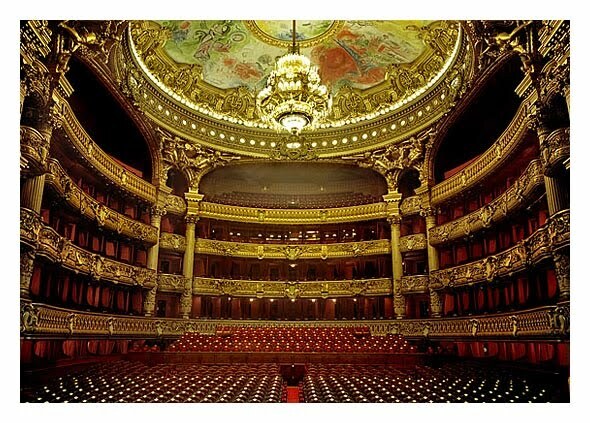 Each year on the occasion of the European Opera Days, European opera houses open their doors and invite you to discover the art of opera - and what happens 'behind the scenes'. 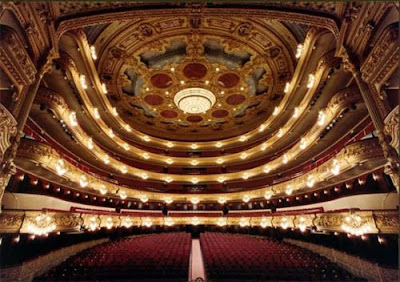 The fourth edition of the European Opera Days will take place all across Europe on the weekend of 8 and 9 May 2010. This year, activities will focus on the theme “Crossing Bridges”: bridges between theatres and their neighbourhoods, between opera and other creative art forms, between cultures… Bridges showing how opera is inspired and influenced by the world which surrounds us. The programme of activities organised throughout Europe on this occasion is available in the ‘PROGRAMME’ section above. Information is updated regularly: come back often on our pages! 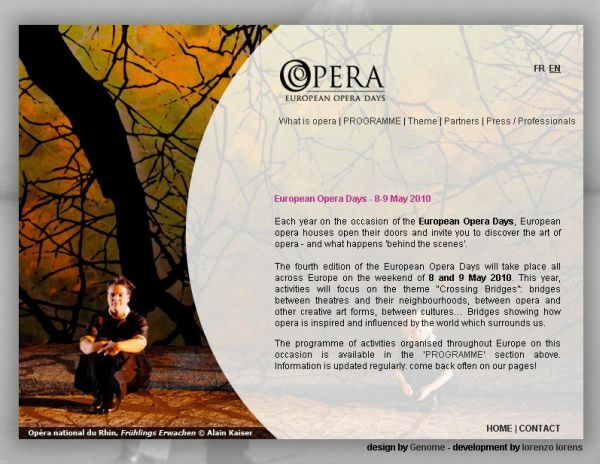 On 8 and 9 May 2010, 100 opera houses in 22 countries will celebrate the 4th edition of the European Opera Days with a weekend of festive and free events open to all. 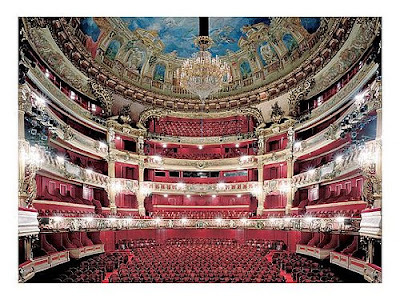 On Saturday 8 and Sunday 9 May, opera houses around Europe will unite to celebrate the art of opera and the talent of those who make it. Throughout the weekend, they will open their doors and invite everyone to discover their treasures through a range of activities and performances: creative workshops, open rehearsals, guided tours of theatres, open-air concerts, public sing-alongs with the chorus, meetings with artists, etc. This year, opera houses and their audiences are called to ‘Cross Bridges’: bridges between theatres and their neighbourhoods, between opera and other creative art forms, between cultures. 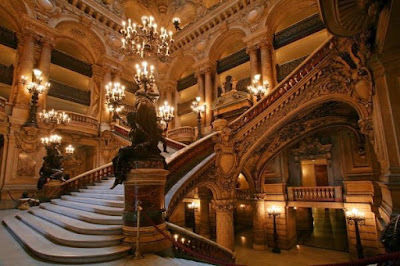 Opera is inspired from the wider world and reaches far beyond theatre walls; this year's European Opera Days highlight the paths that lead to opera. The first European Opera Days were celebrated in 2007, in honour of the 400th anniversary of the first masterpiece of opera, Monteverdi's Orfeo. Since then, it has become a regular rendez-vous for opera lovers and newcomers of all ages. 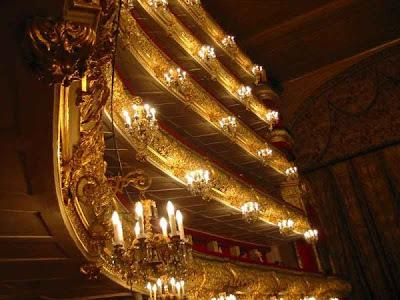 For four years now, hundreds of thousands of people each year have seized the opportunity to explore the opera world from backstage, in front of the stage or even on stage! On 8 and 9 May, from France to Russia and from Norway to Spain, let Europe resonate to the sound of opera! The European Opera Days are a joint initiative of Opera Europa, the European organisation for professional opera companies and festivals, and RESEO, the European Network for Opera and Dance Education, in partnership with la Réunion des Opéras de France, Ópera XXI and the UK's National Opera Coordinating Committee. 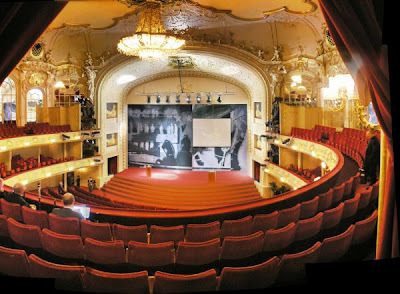 Théâtre royal de la Monnaie/Koninklijke Muntschouwburg, 2006. Patrick De Brock Gallery - Candida Hofer.